You can click on the below CSI icons to filter the establishments according to their CSI Profiles. To get directions to your destination, please enter your location and select your destination (route end point) from the available options. You can also select up to 4 stops at Food Routes Destinations or click on the map to choose more waypoints on your route. Need to book a car? Peering through one teakwood door at Hartford House, you face a Colonial world. Opening another, the distant sounds of an ancient people at work lilt across the silent landscape, a country of great space, spectacular mountains and big skies. This place commands a headland between the world of traditional cultures and the splendid style of our settler forebears. Hartford is the resolution of all South African safaris; the journey´s exclamation point, a retreat from the hubbub where you make sense of a fast life and its senseless details. This is where we learn to redress ourselves on a first name basis. There are too many luxury hotels in the world offering the same: a chocolate on the pillow, canned romance, and cuisine called "haut" because it´s spelled in French. Hartford stands apart for its authenticity. 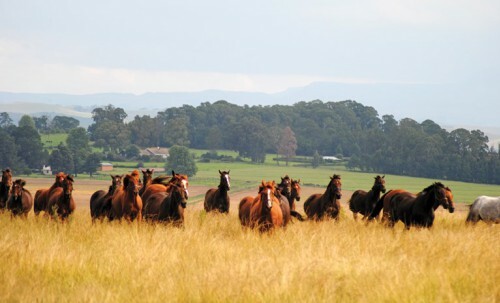 Its architecture, views, dining, sounds, smells, its racehorses and its people are all exhilarating surprises, unique to this Zululand, this culture, to Africa. Yes, you come here to be pampered, but at Hartford luxury is the journey, not the destination. The three Main House suites are individually decorated, and named after the families that have owned the home over the years. The 4 verandah suites, previously magnificent stables built by Italians in the 1930/40´s, are linked by a common verandah in front and beautiful gardens and patios out back. The beautiful garden and pool en suite units positioned in the Hartford gardens with serene views of the lush Hartford grounds. Each Lakeside suite is as unique as the material it is constructed from. A 50% deposit is required to confirm a reservation. 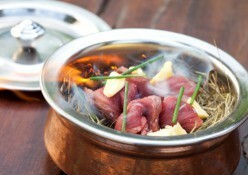 On-line reservations to be paid immediately with credit card when making a reservation. When paying your deposit by EFT (Electronic fund transfer) the deposit is required within 4 days of confirmation. All reservations must be guaranteed by a valid credit card. We suggest that guests are covered by travel insurance in the event of an unforeseen cancellation. These three suites are individually decorated, and named after the families that have owned the home over the years. Suite 1 - Moor Named for the original owners of Hartford House, the grande Moor suite is a luxurious getaway. Suite 3 - Gossling Named after the Goss family, the current owners, this intimate suite is perfect for a romantic retreat. Suite 4 - Ellis The Ellis family, named for the first family to breed horses on the farm this twin bedded suite which can be converted to a double is a nostalgic experience. These 4 suites, previously magnificent stables built by Italians in the 1930/40´s, are linked by a common verandah in front and beautiful gardens and patios out back. Suite 5 - St Pauls The Goss family´s first July winner, St Pauls boasts a beautiful wrought iron four poster bed. Suite 6 - Sentinel This suite’s a winner! Sentinel won over 30 races- this was his stable and this calming suite will you have rested and relaxed. Suite 7 - Preston Pan The ultimate Broodmare of the Ellis era, Preston Pan was stabled here. The blue and greys offer tranquility and serenity. Suite 8 - Mowgli A brave July winner, Mowgli was stabled here. Hues of green and yellow restore balance to ones soul. Beautiful en suite units positioned in the Hartford gardens with serene views of the lush Hartford grounds. Suite 9 - Alyssum Named after the racehorse and the beautiful flower, this suite enjoys panoramic garden views. Suite 10 - Heliotrope A beautiful flower and a winning horse, this garden suite encompasses style and elegance. Suite 11 - Emanzini A Zulu word meaning at the waterside, this relaxing suite enjoys close proximity to the orchard and pool. 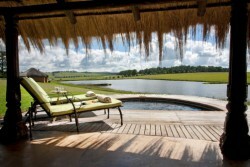 Suite 12 - Emtonjeni Warm colours, a private lounge and fireplace, perfect to enjoy the views of the pool and grounds. Suite 13 - Mbulelo Mbulelo, a Xhosa word for "giving thanks". 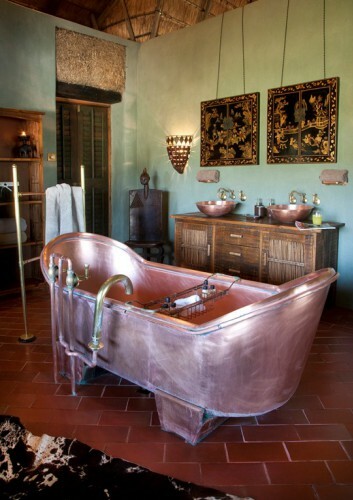 An Eco friendly suite built with mud bricks, the clay harvested from the Hartford farm. We thank our Zulus for giving us such amazing inspiration. Suite 14 - Inkanyezi Inkanyezi, meaning "Evening Star". This suite is typical of a Zulu traditional house built by our Zulus using clay from our farm and thatch from our local grasses. Luxuriously appointed taking on the round theme, from bed to bath to pool and deck. 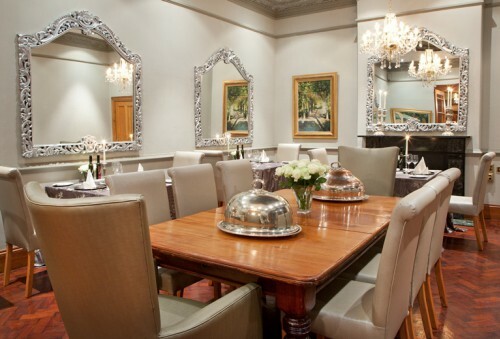 Suite 15 - Siyabonga Siyabonga, meaning "Gratitude”. Thanking our Zulus for their contribution in creating such beauty in a modern day form. Relax in your private gazebo, overlooking calming waters to the sounds of our resident Crowned Cranes. Suite 16 - Nhlanhla Nhlanhla, Zulu´s most beautiful word, meaning "Good Luck", happiness and warm feelings. 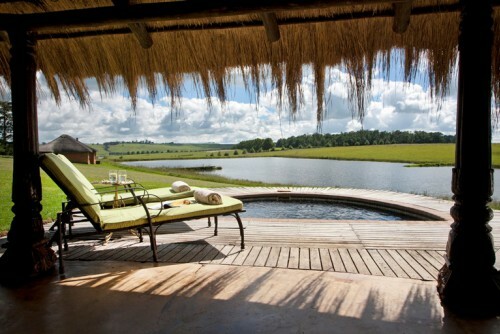 This suite is built of "Amabhele" hay bales, one of nature´s most natural forms, used in the "Green World". 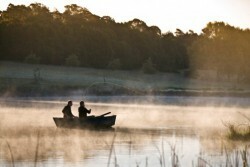 Awake to picturesque sunrises over a trout filled lake - "Leave the world behind." You can feel the passion at Hartford; any meal here reflects our obsession. We live in one of the planet’s great pantries, a world of rich soils, a wonderful climate and bountiful harvests. “In season” and local, are our keys. 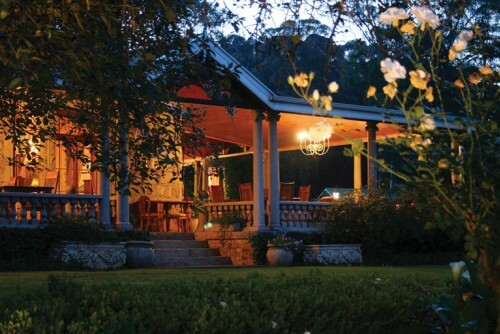 Dinner at Hartford is a spectacular affair, served in the grandeur of a timeless dining room, or in the candlelit splendour of one of Africa’s great verandahs. There might be nine other “Top Ten” restaurants in the nation, but only one claims the ambiance which accompanies Hartford’s history and award-winning gardens. 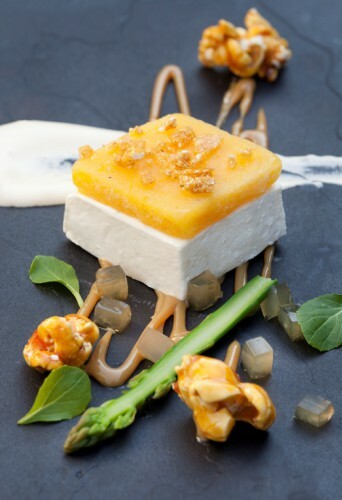 Highlighting in-season produce that comes from around the KZN-Midlands Jackie explains….”In the last few months we have been focusing not only on local products, as in 95% of my ingredients come from 10-15 kilometers around Hartford, but also on Childhood memories. Not only my own memories but all my staffs hence you can see in our bread-board the English, Afrikaans, Indian and Zulu combinations all coming through very strongly. Zulu with the Amasi curd spread called Amaqueque together with the new age spicach spoom (as my Zulu ladies love Spinach- a large part of their diet), the Indian chilli bites and Patta (which is a spicy mixture wrapped in amadumbi leaves-a true rainbow nation combination), the Afrikaans mielie bread and the English health bread. 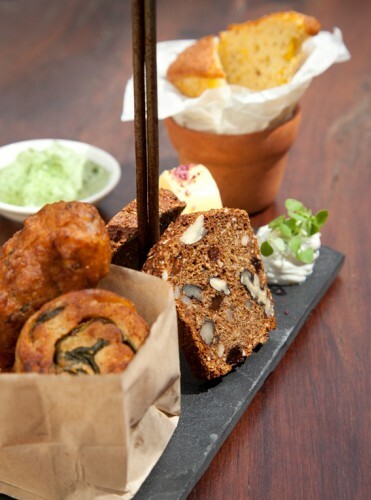 All flavours of the past.”……Calling it Heritage food. 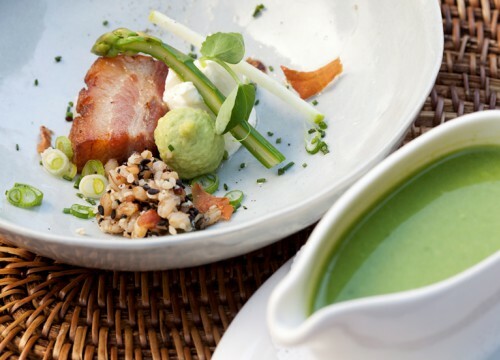 Midlands born and raised Jackie Cameron’s heart is in KwaZulu-Natal where, since 2002, she has filled the position of head chef at Hartford House, a five-star boutique hotel in rural Mooi River Having only recently reached 30 years old, her list of achievements is what most aspiring chefs dream of. She graduated from the Christina Martins School of Food and Wine in 2001 and cut her teeth at Mount Grace Country House and Spa. For the past 10 years Jackie has been reaping the rewards of her commitment to her career. Under her guidance the Hartford House restaurant, having achieved national Top 10 status four times in recent years, is mentioned regularly in magazines such as Food&Home, Taste, Eat Out and House and Leisure; and it has achieved many accolades including Top 10 Eat Out, American Express Platinum Fine Dining Programme and People’s Choice awards. The latter was in the La Motte Restaurant of the Year competition. 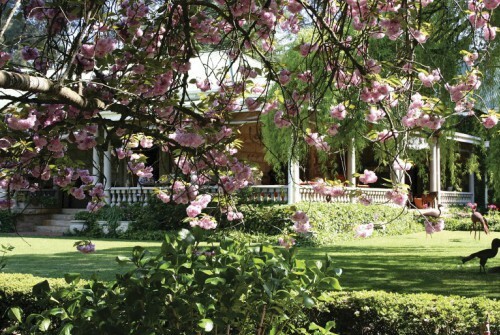 With her input, Hartford House was recently presented with the Inspirational Award in the Top 100 SA Short List Wine List for 2013 awards; Top 10 in the 2012 Eat Out/DStv Restaurants Awards as well as a Diamond Award for its 2012 and 2013 wine list, as recognised by Diner’s Club International. In her personal capacity Jackie has the distinction of being “one of Victor Strugo’s three favourite woman chefs”. She was voted by South African Tourism as one of the Top 10 Young South African Chefs and has appeared on TV programmes such as MASTERCHEF SA, Top Billing and with Justin Bonello in The Ultimate Braai Master. Jackie was a part of the Real Food Movement, is a Chaine des Rotisseure member, and is on the KwaZulu-Natal committee for the South Africa Chefs’ Association. Her culinary career has taken her to Germany, France, Switzerland, Czech Republic Australia, England, Dubai, Shanghai, Spain, Copenhagen, Denmark and America where she has represented South Africa at exhibitions, enjoyed work experiences, or - for the benefit of her career - experienced eating in restaurants such as Nobu, Le Gravoche, Fat Duck, Gordan Ramsay’s Hospital Road and River Café, Noma and El Bulli, The French Laundry, Per Se, Bochon Bistro, AD HOC, Le Bernadin and Jean Georges.In her endeavour to share her knowledge, Jackie writes a monthly column for The Witness newspaper where, through her stories and her recipes, she encourages readers to experiment with food – and to enjoy culinary feasts, however simple. Jackie leaves no stone unturned. Tired of the conventional ´kitchen clothing´ she recently entered the world of fashion and designed the chic, fashionable Jackie Cameron chef´s range. “Jackie Cameron Cooks At Home” published by PENGUINS hit the shelves in May 2013 and in July made second highest cookbook sold in the country, voted by EXCLUSIVE books. Watch this space for her next accomplishment! From Johannesburg or Durban Whether approaching from the Johannesburg or Durban directions : •Follow the N3 highway to Mooi River. •Take the first Mooi River off-ramp from the N3. •Follow the Giant`s Castle / Hartford House / Summerhill Stud signs through the village to the west in the direction of the Drakensberg. 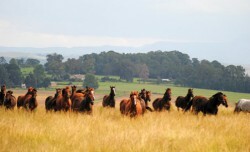 •Approximately 2kms from the outskirts of the village, turn left onto the Hlatikulu Road. 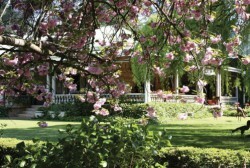 •Travel 5km passing both entrances to Summerhill Stud before the right turn to Hartford House. •Follow the Hartford House signs for 1,2km until you reach the turn off to the right. Please enter the message you'd like to send to Food Routes. Please complete the security question before sending. © Food Routes 2014. All rights reserved.